Attention Lakewood Elementary! 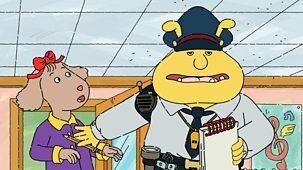 There's a new sheriff - er, hallway monitor - in town, and his name is George Lundgren. 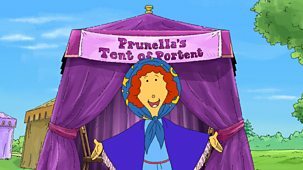 At the Elwood City Picnic, Prunella pretends she can see the future at her fortune-telling booth. But her best friend Marina doubts her mystical powers. 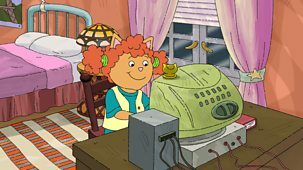 When Mr Crosswire gets a robot butler for Father's Day, Muffy fears Bailey may be replaced. 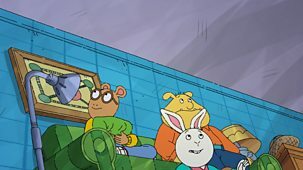 Arthur, Buster and Brain are worried when Mr Ratburn isn't acting like himself. He's always pleased to see them, so what has made him change his tune? Series 20: 8. That's My Grandma! 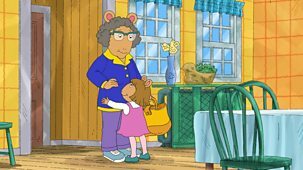 DW gets jealous when Grandma Thora becomes the most popular babysitter in town. 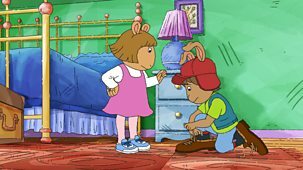 When Bud falls in love with a snazzy new pair of boots, he might face his toughest adventure yet - learning to tie his shoes. 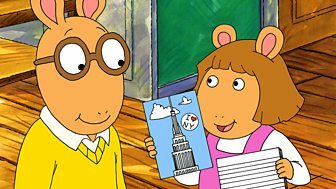 Animation following the adventures of a young aardvark. 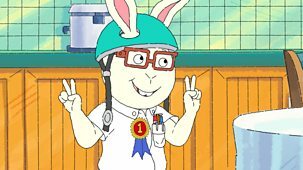 George is excited about his new friend, Carl, who seems to know all kinds of cool facts. 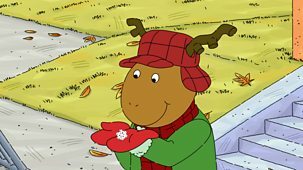 Animation about a young aardvark. 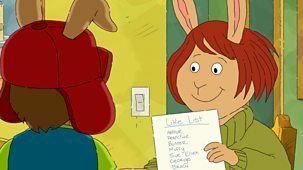 Francine is excited for Mr Ratburn's coolest assignment yet. He has asked them to design their very own model cities! 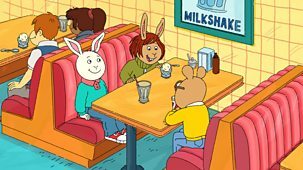 The adventures of a young aardvark and his friends. 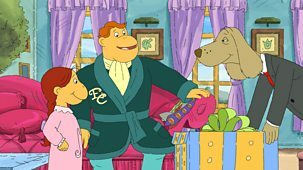 Arthur and Francine enter their pets to compete against each other in the Perfect Pet video contest. 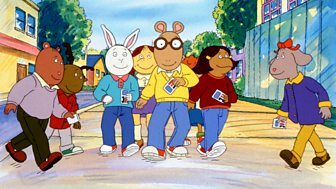 The adventures of a young aardvark and his friends. 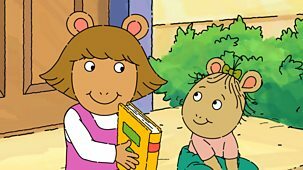 Fern loves the darker and scarier comics but Arthur can't stomach them. 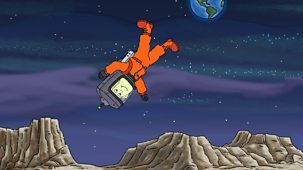 Is it okay to be afraid? Animation. 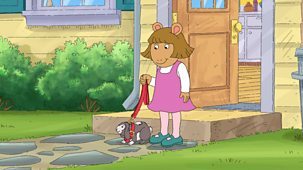 DW finds a stray kitten and begs to keep it. 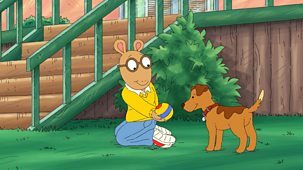 After all, Arthur has his own dog! 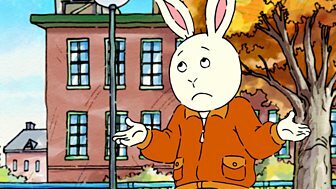 But the cute kitten turns out to be a lot more than DW can handle. Animation. It is the hottest day of the year in Elwood City, and a total blackout leaves its residents without electricity. 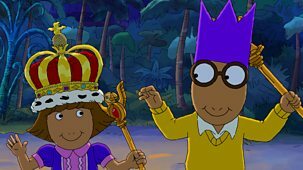 Will Arthur and DW survive without TV? Animation. Baby Kate tells Mei-Lin the story of a little princess in the land of Hanzan-Niis in the hope that it will persuade her to start walking. Animation. 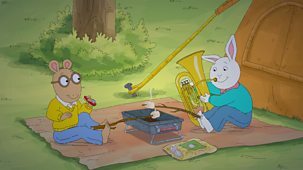 When Arthur, Binky and Sue Ellen stumble upon a beautiful woodland oasis right by their homes, they vow to tell no-one and make it their secret spot. Animation. 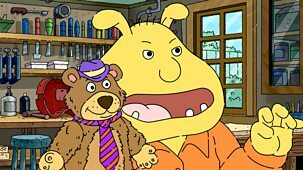 When Binky introduces Emily to pro wrestling, he soon fears he has created a monster. Can he restore her to her former gentle self? Animation. 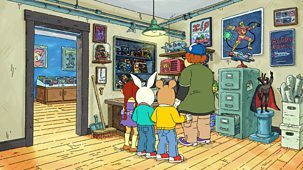 When Francine and the Brain are locked in a stiff competition, Muffy talks Francine into 'borrowing' Buster's toy and letting Brain take the blame. 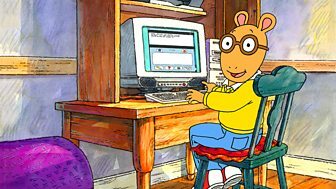 Animated adventures of an aardvark. 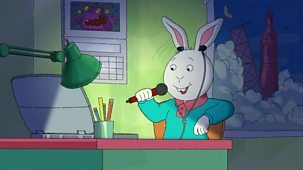 Muffy talks Fern into writing poems for her greeting cards venture, but when Fern burns out, can Muffy make writing fun again? Animation. Prunella is assigned a new, supposedly haunted, locker. Will she get to the bottom of the mystery, or will she have seven years bad luck? Animation. 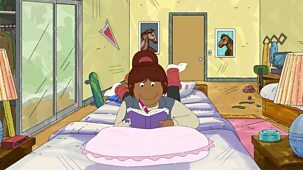 Prunella and Marina compete to see who is first to finish an eagerly awaited novel, but speed reading doesn't always pay off. Animation. 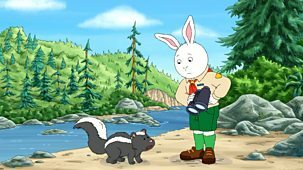 Buster worries he will not know anyone at summer camp, until his older and wiser friend Fritz regales him with tales of summer camp battles and triumphs. Series 13 - Do You Believe In Magic? Animation. 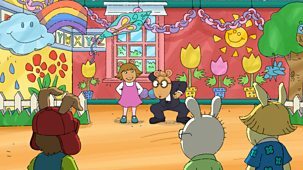 When Buster is hired as the magician for D.W.'s birthday party, Arthur is tempted to prove that Buster's tricks are not so magical after all. Animation. 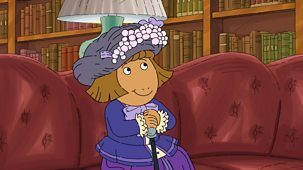 Muffy has regrets when her favourite cherry tree is cut down to make room for a gigantic bouncy castle in her yard. 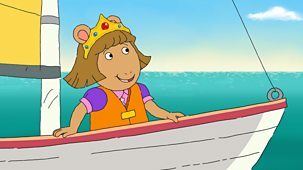 Can she fix the damage she has done? Animation. 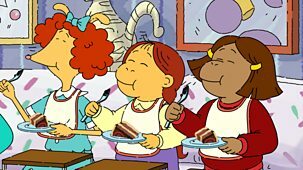 Francine and Muffy scheme to set up their older siblings, Chip and Catherine. If the two got married, that would make the girls sisters! Animation. 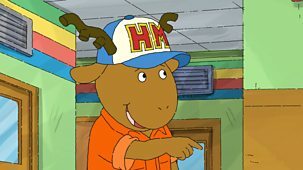 Brain ignores his friends and schoolwork when he gets hooked on the latest tween reality show, Junior Island. How can he break his addiction? 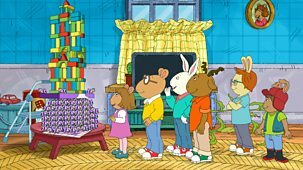 Animation following the adventures of a young aardvark and his friends. 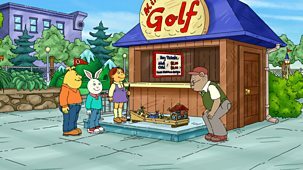 A new ice-cream shop opens up across the block, threatening to put Brain's shop out of business. 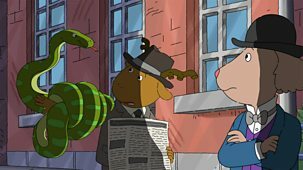 Animation following the adventures of a young aardvark and his friends. An experimental music group, the Bang on a Can All-Stars, tour around Elwood City. 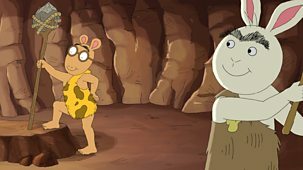 Animation following the adventures of a young aardvark and his friends. Buster wins the best young artist award at the Elwood City Arts Festival. 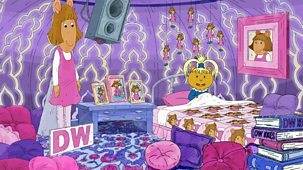 Animation following the adventures of a young aardvark and his friends. 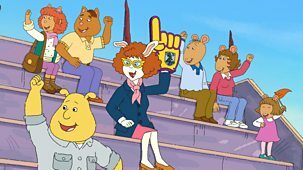 Muffy is thrilled when her family are chosen for a new reality TV project. Animation. 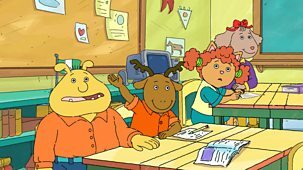 When the gang suspect they are being ranked at school, they become obsessed with what the numbers mean. 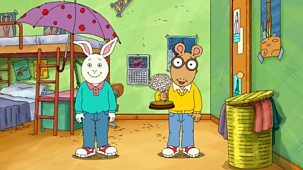 Is Arthur really smarter than Brain? Animation. George wonders if anyone would notice if he disappeared, and so vows not to speak until someone notices him. His friends decide to throw him a party. 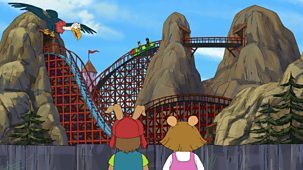 Animation following the adventures of a young aardvark and his friends. 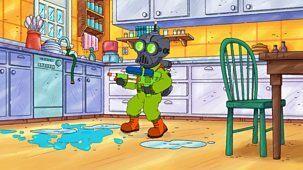 George accidentally breaks the class's prize woodworking project. 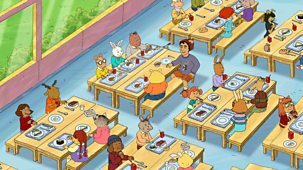 Animation following the adventures of a young aardvark and his friends. After meeting his Hollywood director hero, George is inspired to make a movie of his own. 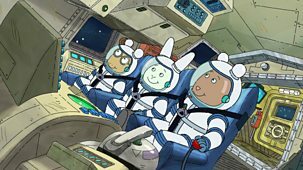 Animation following the adventures of a young aardvark and his friends. 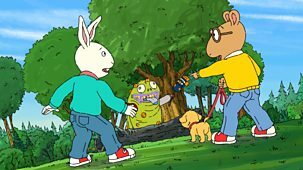 While playing in the park, Binky, Muffy, and Ladonna stumble upon an abandoned kite. Animation. 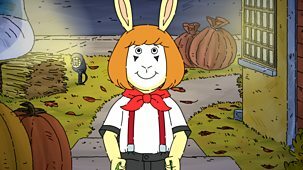 Baby Kate and her dog Pal head off to the Children's Zoo in search of the Dolly Llama for an explanation as to why she can't understand Pal as much anymore. Animation. Buster is obsessed with a fantasy film and behind-the-scenes DVD footage. He soon learns that special effects are no substitute for hard work. 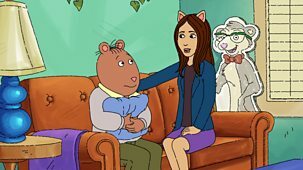 Series 15 - Speak Up, Francine! 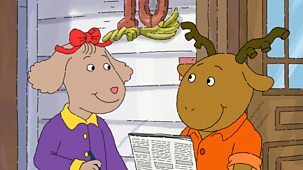 Animation following the adventures of a young aardvark and his friends. Francine is determined to speak at the Earth Day rally. Animation. 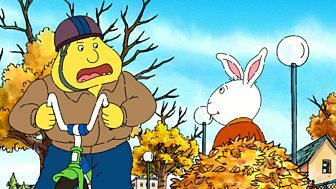 Arthur is thrilled to learn that the legendary Sitting Bull from the Battle of Little Big Horn once passed through their very own Elwood City. 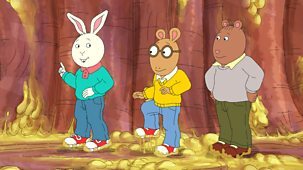 Animation following the adventures of a young aardvark and his friends. 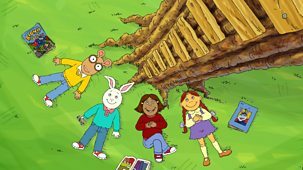 Tired of doing chores, Arthur and the gang decide to invent their own country - Kidonia. Animation. 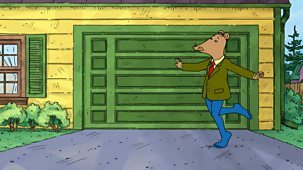 Brain dreams of being the first to spot a rare bird species, but when Mr Ratburn starts a bird-watching club, he fears someone will beat him to it. 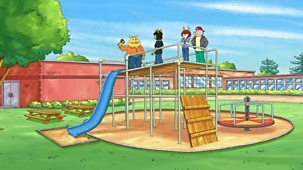 Animation following the adventures of a young aardvark and his friends. 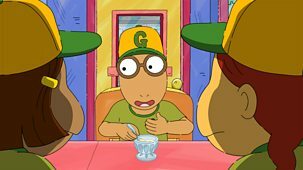 When Arthur catches Buster sucking his thumb, Buster worries that he will tell the entire school. Animation. Brain is always spoiling Fern's storytelling by correcting her facts. She decides to teach him a lesson, convincing him giant worms are attacking. 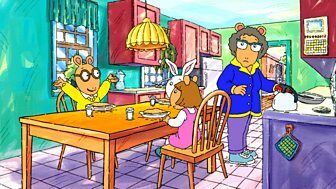 Animation following the adventures of a young aardvark and his friends. 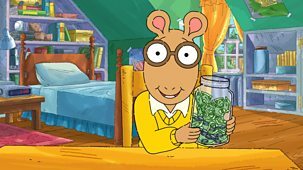 Arthur is ecstatic when he wins free concert tickets on the radio. Animation. 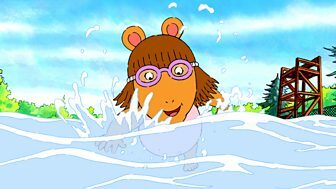 DW and James enter the preschool swim meet and ask their siblings to coach them, but Arthur and Molly start taking their jobs too seriously. 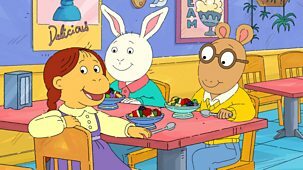 Animation following the adventures of a young aardvark and his friends. 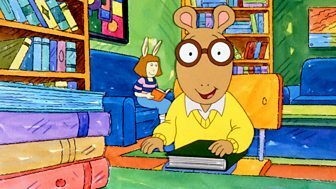 A leaky roof forces Arthur to study in Buster's room. 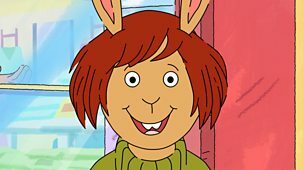 Animation centred on a young aardvark. The Tibble Twins set out on their new business venture, selling their preschool art masterpieces. Animation. 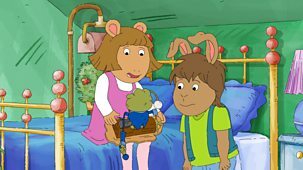 Arthur and Buster's friendship is put to the test when Arthur gives away a present that Buster had given him for his birthday. 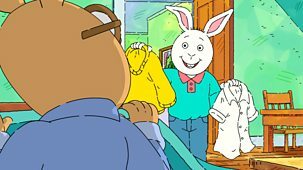 Can Arthur get it back? Animation about an aardvark. 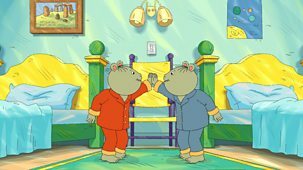 Buster decides to try and repay the favours Arthur has done for him in one go, but is he forgetting the true meaning of friendship?